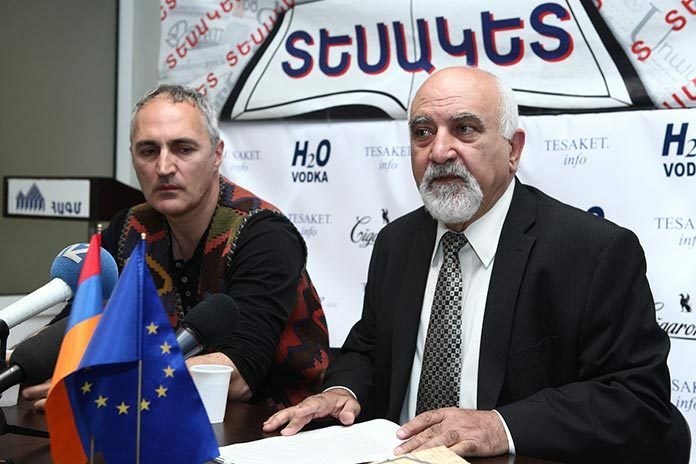 One of the organizers of the initiative is prominent Soviet-era dissident Paruyr Hayrikyan, who spent 17 years in Soviet prisons for his political views. Today, Hayrikyan is the head of the extra-parliamentary Union for National Self-Determination party. Another organizer is filmmaker Tigran Khzmalyan, who is known for his political activism and participation in a hardline opposition group that pushed for a regime change in Armenia. “Armenia has allowed a nation to have a military base in its territory and considers it its ally when the latter has a contract against Armenia with another nation. This is unacceptable and illogical. Everyone could have had a military base in Armenia, except Russia,” Hayrikyan told media on Thursday. The petition comes amid a visit by Russian Foreign Minister Sergey Lavrov to Yerevan apparently aimed at presenting a new settlement plan for the Karabakh conflict to the Armenian side. According to some Russian media, territorial concessions to Azerbaijan and deployment of a Russian peacekeeping contingent could be part of the purported peace plan. According to organizers of the initiative, the hostile stance of Russia proceeds from its treaty with Turkey of 1921 and adherence to the treaty after Armenia gained independence. According to Khazmalyan, the petition contributed to three meetings, which were attended by a number of well-known political parties and public political figures. “We do not name them now only to give them an opportunity of free choice to sign or not to the document. This should not be an initiative of any political party, because the voice of civil society is presented here. Today, in Armenia, a new political, psychological, civilizational situation is being created, when the ridiculous idea that we are destined to be the Russian Empire’s slave vanishes into thin air,” he said. Organizers also announced that on April 22 they are going to hold a rally in Liberty Square in Yerevan.